Please note: Currently, the 3D mattress pads are not in stock. In the case of a roof tent order, we will send it to you free of charge at a later date. 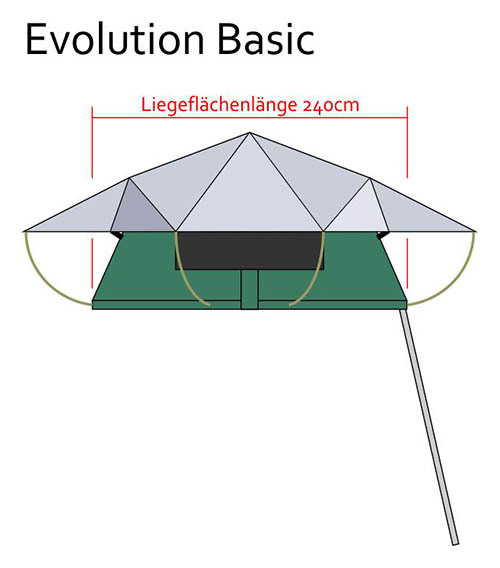 The height of the folded tent is about 45cm, being the sum of the mounting rails, height of the folded tend and the height of the ladder that rests on top of the folded tent. The ladder can be detached from the tent (e.g. when overall height is important like on ferries, etc.